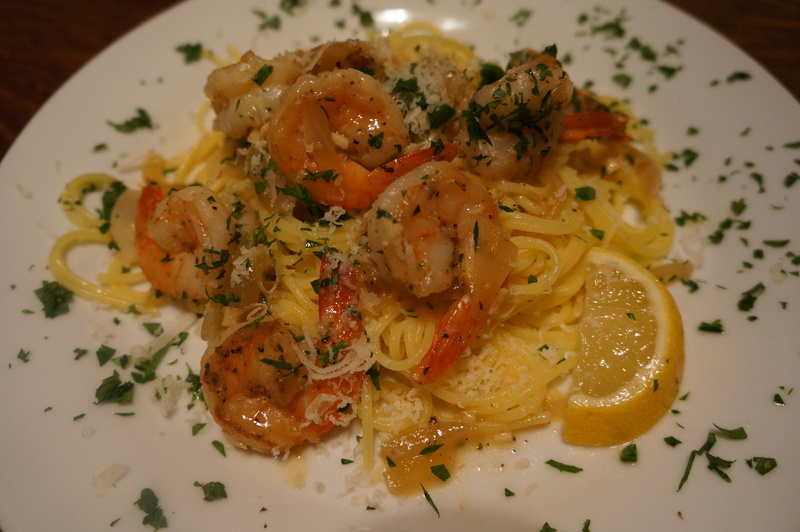 If you love Shrimp Scampi, you must try this recipe. It’s super easy to make and takes very little time from start to finish! Serve this dish up to your family or guest and they will think you’re a professional chef! What makes it Gluten Free? Simple, we use no flour to thicken the sauce and we serve it on Gluten Free pasta! Our choice is Barilla but there are many options available. In this short instructional video, Dave demonstrates just how easy this dish is to make! Spaghetti pasta, as an accompaniment. We prefer Barilla Gluten Free! Season the shrimp thoroughly with salt and pepper. Heat a large sauté pan over medium-high heat. When the pan is hot, add enough oil to lightly coat the pan. Add the shrimp and quickly sauté until just starting to turn pink, but not cooked through. Remove from the pan and set aside. Add the onions and sauté just until they begin to soften, about 3 minutes. Add the garlic and cook another 30 seconds. If adding red pepper flakes, add them at this time as well. Add the lemon juice, white wine, and stock, and reduce by 2/3, about 5 minutes. Add the shrimp back to the pan and swirl in the butter. Check for seasoning and adjust as necessary. Serve over al dente pasta. Note: If using Gluten Free pasta, be certain to keep stirring the pasta while boiling to ensure it doesn’t clump and stick together. After you drain the pasta water, we also find it best if you toss the pasta with a little olive oil to also prevent sticking. After plated, sprinkle with fresh grated Parmigiano-Reggiano cheese and the fresh parsley. Garnish the plate with lemon slices and serve! Oh my, this looks great! I can almost smell it from here! Thanks! Let us know how it turns out for you, it truly is excellent and super easy! Thanks, Alex, that’s a very inspiring comment!